Veritas: BloggerBot is dead. Long live BloggerBot! Today, BloggerBot was deactivated. 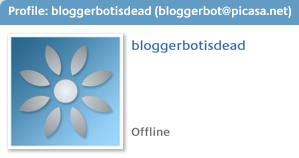 It has been widely known for a while that the end was near, but BloggerBot's final demise is nonetheless disappointing. Since 2004, I have posted photos to my weblogs using Hello and BloggerBot. The interface made quick work of the job of uploading a series of photos and providing a short caption of each one. Nothing Google has provided offers the same simple way of uploading photos to a blog. For this reason, I have stopped posting many photos to my blogs, and have started posting them to flickr instead. 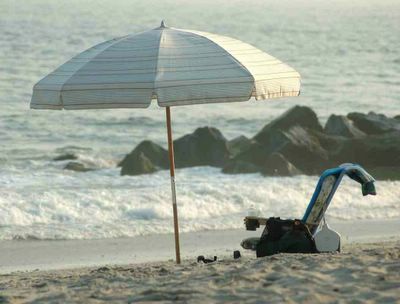 BloggerBot was a useful tool, and I'll miss it. I hope the good folks at Google are working to make improvements the remaining systems, so that uploading photos is again as easy as it was with BloggerBot. Great pictures! I was just doing a little surfing to see how others are posting photos to Blogger blogs without Hello/Bloggerbot and ran across your blog (glad I did). I think I'm going to give flickr a try. Cheers.